Having a broken dryer is no fun; especially if you have a full house. Supposing you lived alone and kept a modest at best wardrobe, it might be less of a problem to get your clothes dried. Living in a full house, however, would prove much harder. Imagine trying to hang dry clothes for 6 people. Even worse, what if it’s raining outside? This is where the beauty of owing a dryer really comes into play; it will work even if it’s pouring rain. When you need professional dryer repair, our Appliance Repair team in Airdrie will always be here to provide it. Appliance Repair Airdrie provides professional dryer installation for those who may have just obtained a new dryer and need assistance with the installation. Dryers need to be installed properly to ensure that it works as intended. This includes ventilation and safety measures, as they are very important during both the installation process as well as the actual usage of the dryer itself. We offer great deals on dryer installations for all types of dryers including top load dryer variants. 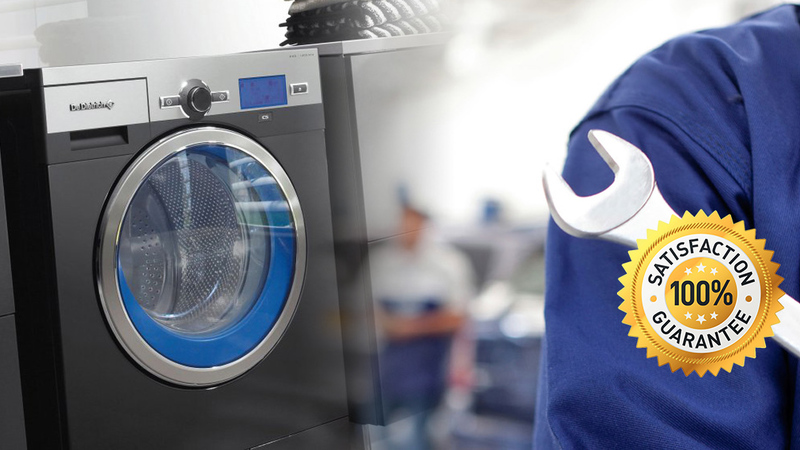 Airdrie Appliance Repair provides the right dryer service when you need it, and we do it at a great price. We can even service your front load washer and dryer combo, or provide a front load washer cleaner to professionally clean out the unit, ensuring outstanding performance for a long time to come. No matter what service you need for your dryers and dryer combo units, we’ll be there to help. If you ever find yourself in need of one of our professional services, we encourage you to give us a call today. We’ll explain our service listings and prices in greater detail and answer any questions you might have. Your dryer is in good hands with our team of certified appliance technicians.